MSP is a Medicaid program that helps seniors and the disabled pay for Medicare co-insurance, deductibles and premiums. Connecticut was one of five states whose income eligibility limits exceeded the federal minimum level. 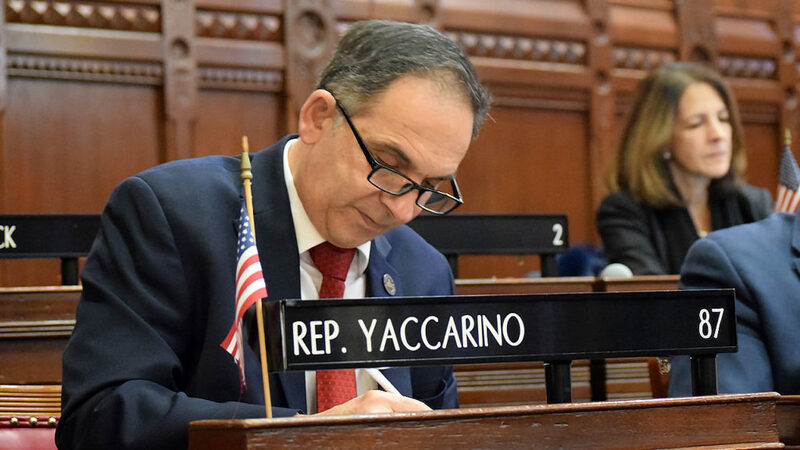 State Representative Dave Yaccarino (R-87) on Monday, January 8, 2018, voted in support of a bipartisan plan that would provide funding for the Medicare Savings Program (MSP) through the end of the fiscal year. MSP is a Medicaid program that helps seniors and the disabled pay for Medicare co-insurance, deductibles and premiums. Connecticut was one of five states whose income eligibility limits exceeded the federal minimum level. In adopting the budget in October, legislators reduced the eligibility to the federal minimum, which in turn reduced or eliminated coverage for many of the program’s thousands of participants. In December, the state’s Department of Social Services announced it would delay implementation of the eligibility reduction by two months, giving concerned program participants a reprieve from an unexpected jump in their healthcare costs as lawmakers worked to find $53 million to fund the program through June. Realizing almost 86,000 low-income seniors would be disqualified and another 27,000 would have their coverage reduced, members from both the House and Senate of the Connecticut General Assembly petitioned the Secretary of the State to call them back into special session in order to restore the previous cut. The MSP plan was approved in the House through a 130 to 3 vote. State senators approved the plan 32-1 in a vote later in the day. The 2018 legislative session, which is referred to as a short session begins on February 7, and its primary focus is to deal with all issues tied to the state budget and all proposed legislation must be fiscal in nature. Anyone with questions or concerns about state-related issues can contact Representative Yaccarino’s office at [email protected] or 860-240-8700.